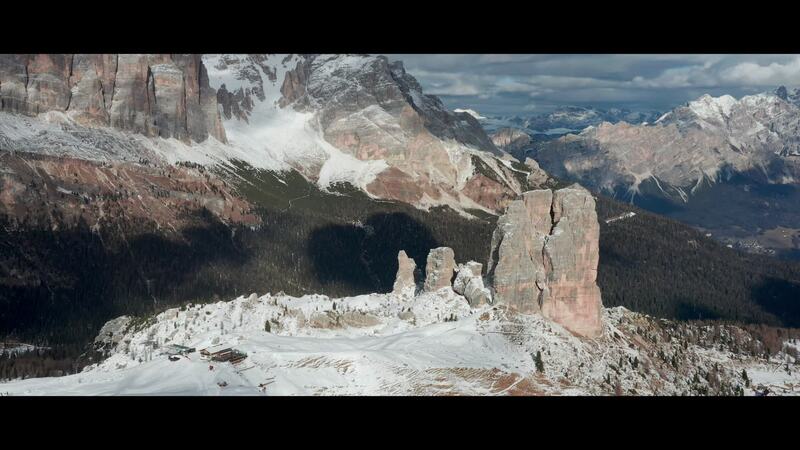 Sgaggio89 created this marvelous drone video of Cinque Torri, a group of mountains in northeastern Italy. Cinque Torri is in Belluno, one of the provinces of the Veneto region. The masif makes up the southwestern boundary of the valley of Cortina d'Ampezzo, the most popular resort town in the Dolomites. The highest peak in the group is around 2.36k meters (about 7.75k ft.). Cinque Torri was the scene of intense artillery duels between Italian and Austro-Hungarian forces during the First World War.